After 304, this is the most common stainless steel on the market. Again it is an austenitic grade with the addition of 2â€“3% molybdenum which further improves corrosion resistance. It is often referred to as a marine grade stainless steel because of its effective resistance to chloride corrosion in comparison to other stainless steel grades. Alloys 316 (UNS S31600), 316L (S31603), and 317L (S31703) are molybdenum-bearing austenitic stainless steels which are more resistant to general corrosion and pitting/crevice corrosion than the conventional chromium-nickel austenitic stainless steels such as Alloy 304. These alloys also offer higher creep, stress-to-rupture, and tensile strength at elevated temperature. Alloy 317L containing 3 to 4% molybdenum is preferred to Alloys 316 or 316L which contain 2 to 3% molybdenum in applications requiring enhanced pitting and general corrosion resistance. In addition to excellent corrosion resistance and strength properties, the Alloys 316, 316L, and 317L Cr-Ni-Mo alloys also provide the excellent fabricability and formability which are typical of the austenitic stainless steels. Chemical composition as represented by ASTM A240 and ASME SA-240 specifications are indicated in the table below. Alloys 316, 316L, and 317L are more resistant to atmospheric and other mild types of corrosion than the 18-8 stainless steels. In general, media that do not corrode 18-8 stainless steels will not attack these molybdenum-containing grades. One known exception is highly oxidizing acids such as nitric acid to which the molybdenum-bearing stainless steels are less resistant. Alloys 316 and 317L are considerably more resistant than any of the other chromium-nickel types to solutions of sulfuric acid. At temperatures as high as 120Â°F (38Â°C), both types have excellent resistance to higher concentrations. Service tests are usually desirable as operating conditions and acid contaminants may significantly affect corrosion rate. Where condensation of sulfur-bearing gases occurs, these alloys are much more resistant than other types of stainless steels. In such applications, however, the acid concentration has a marked influence on the rate of attack and should be carefully determined. The molybdenum-bearing Alloys 316 and 317L stainless steels also provide resistance to a wide variety of other environments. As shown by the laboratory corrosion data below, these alloys offer excellent resistance to boiling 20% phosphoric acid. They are also widely used in handling hot organic and fatty acids. This is a factor in the manufacture and handling of certain food and pharmaceutical products where the molybdenum-containing stainless steels are often required in order to minimize metallic contamination. Generally, the Alloy 316 and 316L grades can be considered to perform equally well for a given environment. The same is true for Alloy 317L. A notable exception is in environments sufficiently corrosive to cause intergranular corrosion of welds and heat-affected zones on susceptible alloys. In such media, the Alloy 316L and 317L grades are preferred for the welded condition since low carbon levels enhance resistance to intergranular corrosion. Resistance of austenitic stainless steels to pitting and/or crevice corrosion in the presence of chloride or other halide ions is enhanced by higher chromium (Cr), molybdenum (Mo), and nitrogen (N) content. A relative measure of pitting resistance is given by the PREN (Pitting Resistance Equivalent, including Nitrogen) calculation, where PRE = Cr+3.3Mo+16N. The PREN of Alloys 316 and 316L (24.2) is better than that of Alloy 304 (PREN = 19.0), reflecting the better pitting resistance which 316 (or 316L) offers due to its Mo content. Alloy 317L, with 31.% Mo and PREN = 29.7, offers even better resistance to pitting than the 316 alloys. Alloy 304 stainless steel is considered to resist pitting and crevice corrosion in waters containing up to about 100 ppm chloride. The Mo-bearing Alloy 316 and Alloy 317L on the other hand will handle waters with up to about 2000 and 5000 ppm chloride, respectively. Although these alloys have been used with mixed success in seawater (19,000 ppm chloride), they are not recommended for such use. Alloy 2507 with 4% Mo, 25% Cr, and 7% Ni is designed for use in salt water. The Alloys 316 and 317L are considered to be adequate for some marine environment applications such as boat rails and hardware and facades of buildings near the ocean, which are exposed to salt spray. The Alloys 316 and 317L stainless steels all perform without evidence of corrosion in the 100-hour, 5% salt spray (ASTM B117) test. Both Alloys 316 and 317L are susceptible to precipitation of chromium carbides in grain boundaries when exposed to temperatures in the 800 to 1500Â°F (427 to 816Â°C) range. Such “sensitized” steels are subject to intergranular corrosion when exposed to aggressive environments. Where short periods of exposure are encountered, however, such as in welding, Alloy 317L with its higher chromium and molybdenum content, is more resistant to intergranular attack than Alloy 316 for applications where light gauge material is to be welded. Heavier cross sections over 7/16 inch (11.1 mm) usually require annealing even when Alloy 317L is used. For applications where heavy cross sections cannot be annealed after welding or where low temperature stress relieving treatments are desired, the low carbon Alloys 316L and 317L are available to avoid the hazard of intergranular corrosion. This provides resistance to intergranular attack with any thickness in the as-welded condition or with short periods of exposure in the 800 to 1500Â°F (427 to 826Â°C) temperature range. Where vessels require stress-relieving treatment, short treatments falling within these limits can be employed without affecting the normal excellent corrosion resistance of the metal. Accelerated cooling from higher temperatures for the “L” grades is not needed when very heavy or bulky sections have been annealed. Alloys 316L and 317L possess the same desirable corrosion resistance and mechanical properties as the corresponding higher carbon alloys and offer an additional advantage in highly corrosive applications where intergranular corrosion is a hazard. Although the short duration heating encountered during welding or stress relieving does not produce susceptibility to intergranular corrosion, it should be noted that continuous or prolonged exposure at 800 to 1500Â°F (427 to 826Â°C) can be harmful from this standpoint with Alloys 316L and 317L. Also stress relieving between 1100 to 1500Â°F (593 to 816Â°C) may cause some slight embrittlement of these types. Austenitic stainless steels are susceptible to stress corrosion cracking (SCC) in halide environments. Although the Alloys 316 and 317L are somewhat more resistant to SCC than the 18 Cr-8 Ni alloys because of their molybdenum content, they still are quire susceptible. Conditions which produce SSC are: (1) presence of halide ion (generally chloride), (2) residual tensile stresses, and (3) temperatures in excess of about 120Â°F (49Â°C). Stresses result from cold deformation or thermal cycles during welding. Annealing or stress relieving heat treatments may be effective in reducing stresses, thereby reducing sensitivity to halide SCC. Although the low carbon “L” grades offer no advantage as regards SCC resistance, they are better choices for service in the stress-relieved condition in environments which might cause intergranular corrosion. The Alloys 316 and 317L exhibit excellent resistance to oxidation and a low rate of scaling in air atmospheres at temperatures up to 1600 to 1650Â°F (871 to 899Â°C). The performance of Alloy 316 is generally somewhat inferior to that of Alloy 304 stainless steel which has slightly higher chromium content (18% vs. 16% for Alloy 316). Since the rate of oxidation is greatly influenced by the atmosphere encountered and by operating conditions, no actual data can be presented which are applicable to all service conditions. When properly annealed, Alloys 316 and 317L are primarily austenitic. Small quantities of ferrite may or may not be present. When slowly cooled or held in the temperature range 800 to 1500Â°F (427 to 816Â°C), carbides are precipitated and the structure consists of austenite plus carbides. The overall heat transfer coefficient of metals is determined by factors in addition to thermal conductivity of the metal. The ability of the 18-8 stainless grades to maintain clean surfaces often allows better heat transfer than other metals having higher thermal conductivity. Austenitic stainless steels are non-magnetic in the annealed, fully austenitic condition. The magnetic permeability of the Alloys 316 and 317L in the annealed condition is generally less than 1.02 at 200 H (oersteds). Permeability values for cold deformed material vary with composition and the amount of cold deformation but are usually higher than that for annealed material. Minimum mechanical properties for annealed Alloys 316, 316L and 317L austenitic stainless steel plate as required by ASTM specifications A240 and ASME specification SA-240 are shown below. Percent Elongation in 2 in. or 51 mm. Deformation of austenitic alloys at room or slightly elevated temperature produces an increase in strength accompanied by a decrease in elongation value. Alloys 316, 316L, and 317L flat rolled products are generally available in the annealed condition. Representative short time elevated temperature tensile properties for Alloys 316, 316L, and 317L of the following analyses are shown below. At temperatures of about 1000Â°F (538Â°C) and higher, creep and stress rupture become considerations for the austenitic stainless steels. Considerable variation in the creep strength and stress rupture strength values is reported by various investigators. The annealed austenitic stainless steels maintain a high level of impact resistance even at cryogenic temperatures, a property which, in combination with their low temperature strength and fabricability, has led to their extensive use in cryogenic applications. Representative Charpy V-notch impact data for annealed Type 316 at room temperature are shown below. The fatigue strength or endurance limit is the maximum stress below which material is unlikely to fail in 10 million cycles in air environment. For austenitic stainless steels as a group, the fatigue strength is typically about 35 percent of the tensile strength. Substantial variability in service results is experienced since additional variables such as corrosive conditions, form of stress and mean value, surface roughness, and other factors affect fatigue properties. For this reason, no definitive endurance limit values can be given which are representative of all operating conditions. The austenitic stainless steels are provided in the mill annealed condition ready for use. Heat treatment may be necessary during or after fabrication to remove the effects of cold forming or to dissolve precipitated chromium carbides resulting from thermal exposures. For the Alloys 316 and 317L the solution anneal is accomplished by heating in the 1900 to 2150Â°F (1040 to 1175Â°C) temperature range followed by air cooling or a water quench, depending on section thickness. Cooling should be sufficiently rapid through the 1500 to 800Â°F (816 to 427Â°C) range to avoid reprecipitation of chromium carbides and provide optimum corrosion resistance. In every case, the metal should be cooled from the annealing temperature to black heat in less than three minutes. Alloys 316 and 317L cannot be hardened by heat treatment. The austenitic stainless steels, including the Alloys 316 and 317L, are routinely fabricated into a variety of shapes ranging from the very simple to very complex. These alloys are blanked, pierced, and formed on equipment essentially the same as used for carbon steel. The excellent ductility of the austenitic alloys allows them to be readily formed by bending, stretching, deep drawing, and spinning. However, because of their greater strength and work hardenability, the power requirements for the austenitic grades during forming operations are considerably greater than for carbon steels. Attention to lubrication during forming of the austenitic alloys is essential to accommodate the high strength and galling tendency of these alloys. The austenitic stainless steels are considered to be the most weldable of the stainless steels. They are routinely joined by all fusion and resistance welding processes. Two important considerations for weld joints in these alloys are (1) avoidance of solidification cracking, and (2) preservation of corrosion resistance of the weld and heat-affected zones. Fully austenitic weld deposits are more susceptible to cracking during welding. For this reason, Alloys 316, 316L, and 317L “matching” filler metals are formulated to solidify with a small amount of ferrite in the microstructure to minimize cracking susceptibility. For weldments to be used in the as-welded condition in corrosive environments, it is advisable to utilize the low carbon Alloys 316L and 317L base metal and filler metals. The higher the carbon level of the material being welded, the greater the likelihood the welding thermal cycles will allow chromium carbide precipitation (sensitization), which could result in intergranular corrosion. The low carbon “L” grades are designed to minimize or avoid sensitization. High-molybdenum weld deposits may experience degraded corrosion resistance in severe environments due to micro-segregation of molybdenum. to overcome this effect, the molybdenum content of the weld filler metal should be increased. For some severe application for the 317L alloys, weld deposits containing 4 percent or more of molybdenum may be desirable. Alloy 904L (AWS ER 385, 4.5% Mo) or Alloy 625 (AWS ERNiCrMo-3, 9% Mo) filler metals have been used for this purpose. Be careful to avoid copper or zinc contamination in the weld zone since these elements can form low melting point compounds which in turn can create weld cracking. 316L Stainless Steel Plate is sleeved into plastic bag individually, pieces wrapped with water-proof material, bundled with nylon rope. Clear labels are tagged on the outside of the package for easy identification of the quantity and product I.D. Great care is taken during operation and transportation. SS 316L Stainless Steel Plate packing will be according to international standard in bundles strapped by strips then into containers to avoid any damage. – End of 316L Stainless Steel Plate protected by plastic Strip. We export 316L Stainless Steel Plate to Iran, Iraq, Oman, Qatar, Albania, Muscat, Bahrain, Turkey, Egypt, Maldives, Italy, UAE, Bahrain, Indonesia, Australia, Kuwait, Saudi Arabia, South Africa, Germany, UK, Denmark, Canada, USA, Peru, Brazil, Nizeria, Mexico, Venezuela (Latin America), South America, Russia, kazakhstan etc. Steber Steel is a well known worldwide exporter of 316L Stainless Steel Plate, Steber Steel is committed to provide each and every customer with the highest standard of customer service. 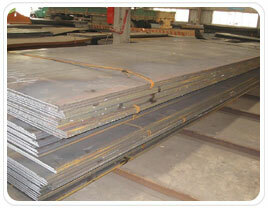 We deals in 316L Stainless Steel Plate in India & Overseas, offering a wide range of 316L Stainless Steel Plate.